On Tuesday we were fortunate to hear two Royal Society of Chemistry medal winners discuss their award winning research. Professor Christine Cardin (University of Reading) and Dr Susan Quinn (University College Dublin) were awarded the Rita & John Carnforth Award, alongside Professor John Kelly (Trinity College Dublin) for their structural work on DNA – transition metal complexes, proof of the origins of the “light-switch” effect and its implications for mechanisms of DNA damage. 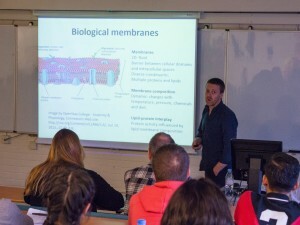 Students and staff gathered to hear the advantages of working in collaborative teams across the chemistry and life-science interface with an example of research that could not be done any other way. This is reflective of the research that is done here at Brighton and many of the final year students are starting their path on this type of collaboration already in their final year projects. The annual Royal Society of Chemistry Analytical Research Forum took place yesterday at Burlington House, London. 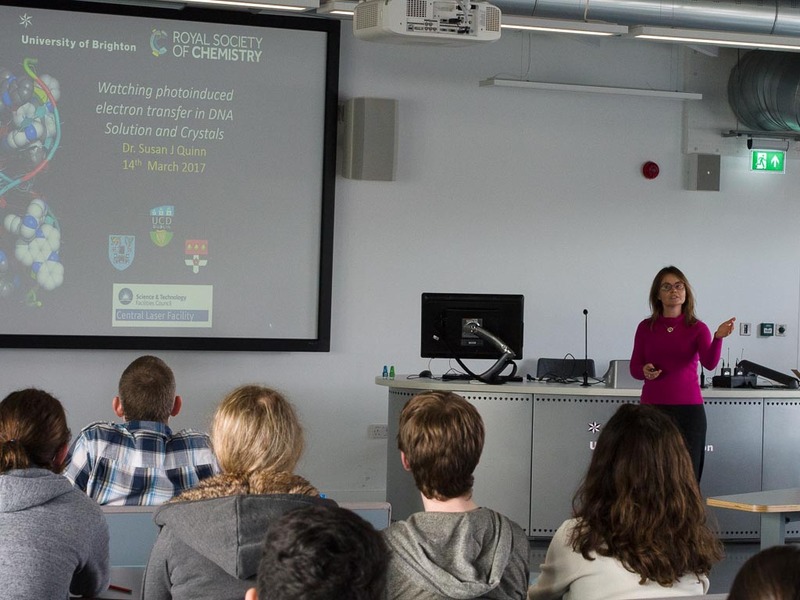 The day brought together Analytical Chemists from many areas showcasing research in spectroscopy, spectrometry, chromatography, electrochemistry and new sound based analysis. The one day event encourages early career researchers to present as well as bringing in senior speakers and highlights the breadth and importance of analytical chemistry in many areas of life. 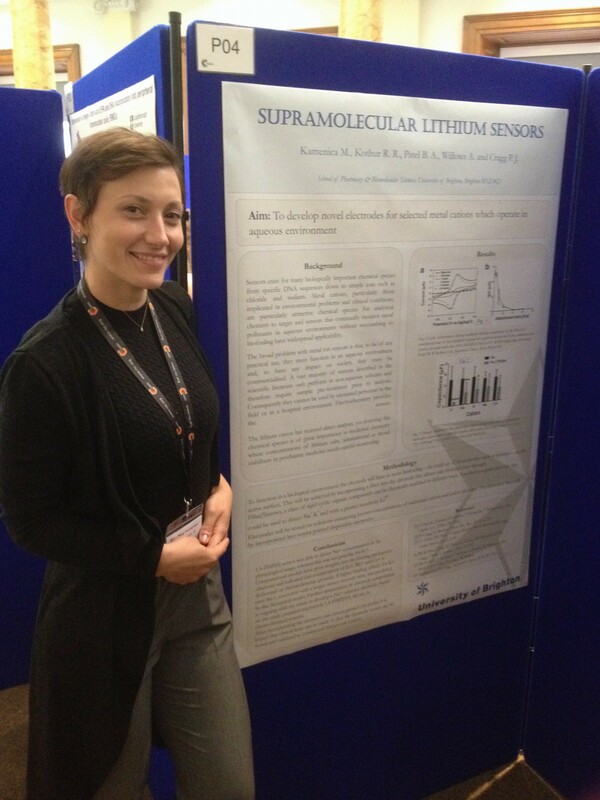 Brighton PhD student Megi Kamenica presented a poster on her research into supramolecular lithium sensors under supervisors Dr Peter Cragg, Dr Bhavik Patel and Dr Alison Willows. Hers was one of ten poster presenters invited to discuss their work further in a 3 minute flash presentation. 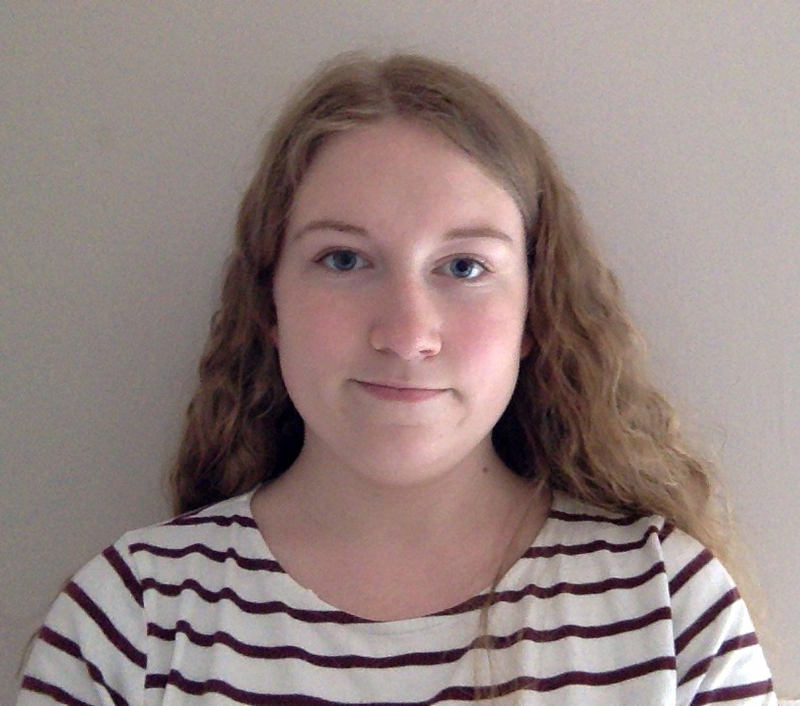 She then went on to win the poster prize for the forum gaining a year’s e-subscription to a RSC journal. Congratulations Megi on your award. 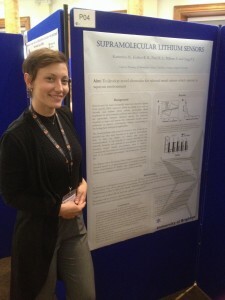 Students and staff were treated to some fascinating chemistry at the RSC Prizewinners Symposium. 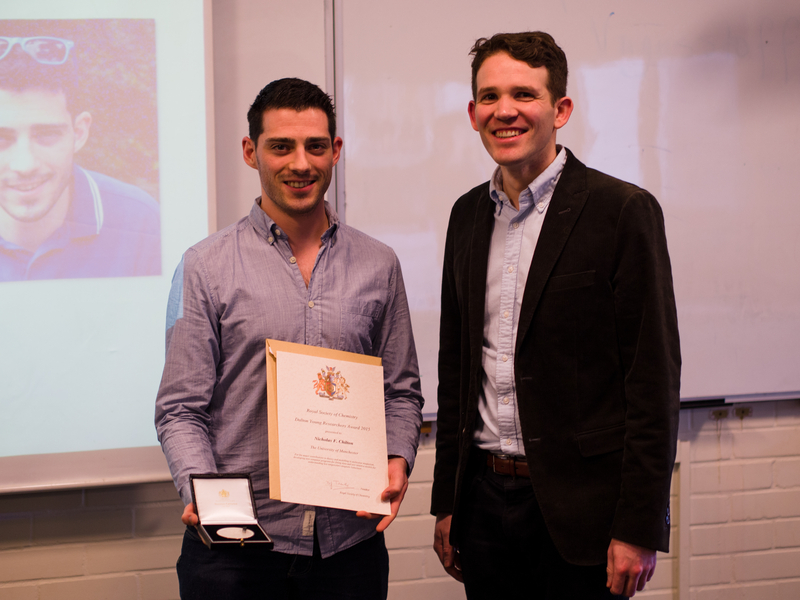 With two prizewinners giving talks and receiving their medals. 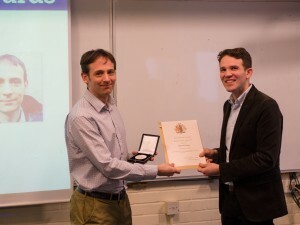 Dr Nicholas Chilton (Manchester) received the Dalton Young Researchers Award for his major contributions to theory and modelling in molecular magnetism. Professor Mark Wallace (Oxford) received the Norman Heatley Award for his distinguished work in the area of artifical lipid bilayers, creating a new way of studying membrane proteins. We thank them both for their interesting insights into their work, all present enjoyed the event. 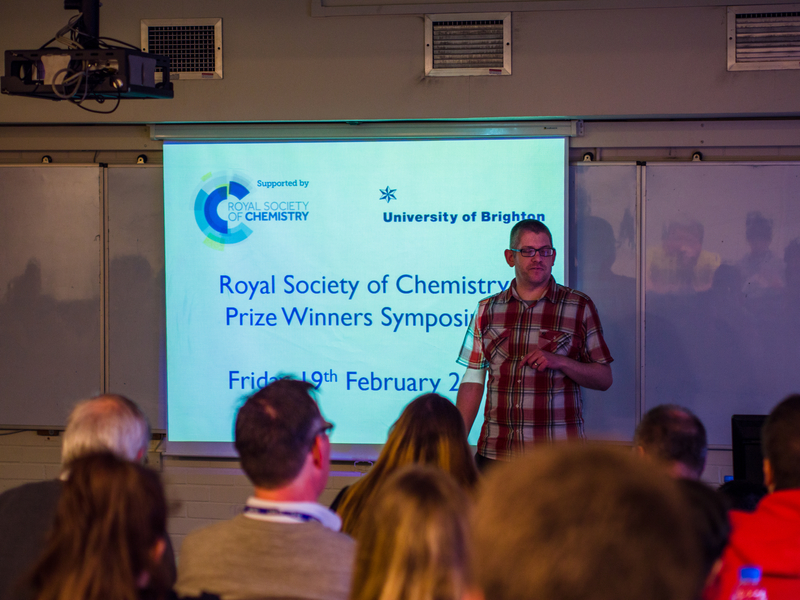 We’d also like to thank the Royal Society of Chemistry for their support in this symposium. 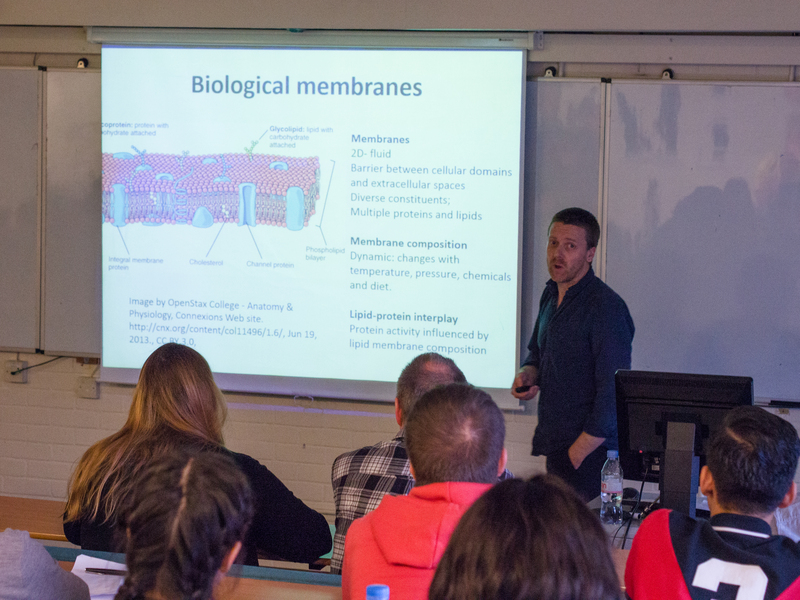 Our own staff also provided talks to complement the two areas with Dr Ian Gass discussing his Radical approach to molecular magnetism and Dr Marcus Dymond discussing Lipid protein interactions and phospholipid homeostasis. Both highlighting some of the great research from our own chemistry laboratories. 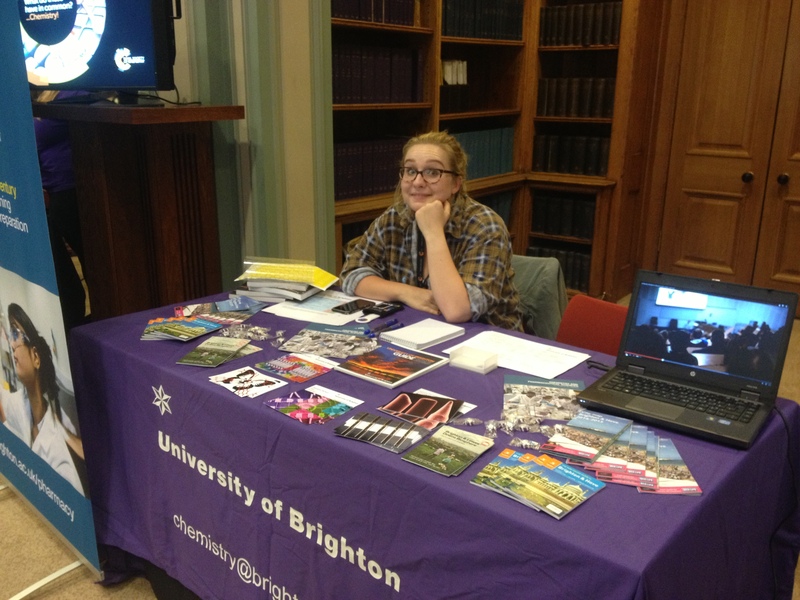 This weekend we had an open day on site and went up to Burlington House, London for the Royal Society of Chemistry’s Meet the Universities event.These events are run each year and provide those thinking about doing chemistry at university the opportunity to chat to many universities under one roof. We usually take one of our undergraduate students along with us as they can give an honest view of what it is like to be a student with us. 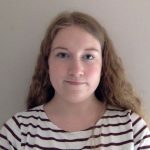 Georgia has just finished the first year of Pharmaceutical & Chemical Sciences and was able to talk about that initial transition of moving town and the change from A level Study. If you missed us we’ll be at the northern event this coming Saturday (27th June) in Sheffield, it’s not too late to register. There’ll also be useful talks to help you prepare your UCAS application.